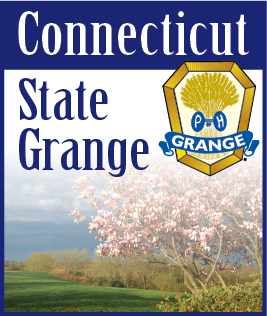 Junior Grange News: How Do You Support Junior Grange? I have been remiss in reporting what we have been up to, so this column might be a bit lengthy. We had about 30 go to Skate Inn in Plainfield. We had a great time; lots of fun, pizza, drinks, and friends! We cannot wait to go again. We had a scavenger hunt mystery ride. Clues brought us to three more clues and finally to our mystery destination: Hopeville Pond. We all brought picnic lunches and enjoyed some watermelon. However, the swimming and playing with friends was the best part! It was determined that we should have a mystery ride every month. THAT might be a tad bit ambitious, but another one may be on the horizon. About 20 kids enjoyed the mystery ride. Forty-one of us went to Southwick Zoo. One of our badges was to research an endangered animal and report on it at a meeting. Several of our members took part in this! At our September meeting we learned about Ring- Tailed Lemurs, Bengal tigers, Cheetahs, wolves, Cotton-Topped Tamerins, and a few other species! The children did a wonderful job on their presentations. The Junior Grange paid for a train ride for all of the members who planned on earning this badge. We are proud of those kids! At our Grange Fair, we sponsored Animal Experiences, a hands-on educational program. The kids were able to hold snakes, turtles, bearded dragons, a frog, rabbit, chinchilla, hedgehog, and an alligator! Several of the children wore the snakes around their necks. Member Russell had a bearded dragon on his shirt. He said it looked like a badge. Once again, the duct tape table was a huge hit, as well as the Civil War impersonators. Several of our Juniors entered crafts, eggs, flowers, and baked goods. A few of them were even pictured in The Reminder. We held our Installation and Badge Ceremony at our September meeting. Congratulations to Evelyn Dexter, our new President and all of the officers! It is especially meaningful that our parents, brother, and niece escorted us. A special thanks to Sister Sue Gray for being the Installing Officer. We are eagerly anticipating our Halloween party in October! Hope you can make it!